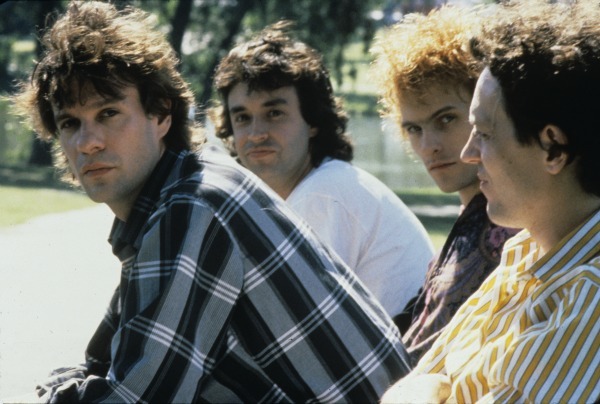 Less than two months after reuniting onstage for the first time in more than two decades, The Replacements tonight landed a nomination to the Rock and Roll Hall of Fame’s Class of 2014, joining a list of nominees that includes Nirvana, Peter Gabriel, KISS, Hall and Oates, LL Cool J, N.W.A., Deep Purple, Yes, Chic and more, Rolling Stone reports. The rest of the nominees include Paul Butterfield Blues Band, Link Wray, the Meters, Linda Ronstadt, Cat Stevens and the Zombies. The top vote-getters will be inducted at a ceremony in New York City next April. To be eligible, artists must have released their first single or album in 1988 or earlier; of the 2014 nominees, Nirvana is the only act to be nominated in its first year of eligibility (the band released “Love Buzz” in 1988). Although they’ve been eligible for some time, this is the first nomination for both the ‘Mats and Gabriel as a solo artist, although he was inducted in 2010 as a member of Genesis. Once again this year, the public will be allowed to vote alongside artists and industry insiders via RollingStone.com. The top five acts will be labeled as a “fan’s ballot” and will count as just one of the more than 600 ballots that ultimately will select the Class of 2014.